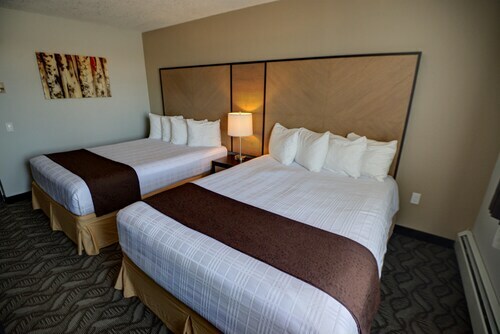 This family-friendly Airdrie hotel is within 3 mi (5 km) of Sierra Springs, Ironhorse Park, and Woodside Golf Course. Cross Iron Mills Mall and Century Downs Racetrack and Casino are also within 9 mi (15 km). 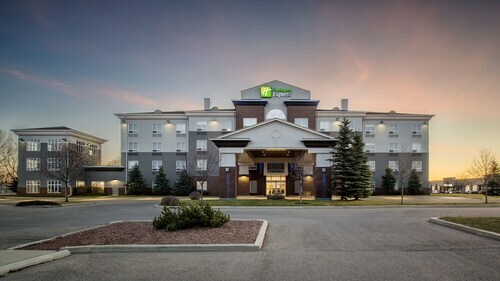 Situated in Airdrie, this hotel is within 3 mi (5 km) of Sierra Springs, Woodside Golf Course, and Ironhorse Park. Cross Iron Mills Mall and Century Downs Racetrack and Casino are also within 9 mi (15 km). How Much is a Hotel Room in Beiseker? Hotels in Beiseker start at C$79 per night. Prices and availability subject to change. Additional terms may apply. Pack your bags—it’s time to embark on a getaway. Whether you’re craving a solo retreat or promising your family a vacation to remember, book one of the best hotels in Beiseker. These hotels are located within easy access of the city’s hottest attractions and entertainment, so you won’t miss a beat while you’re in town. Spend the days exploring the local landmarks and the evenings getting to know the nightlife. After exploring the city from top to bottom, rest up at a hotel that speaks to you. Find the perfect place that matches your trip’s vibe, from a trendy boutique to family-friendly accommodations. Allow us here at Travelocity to pair you with up Beiseker hotels that suit your vacation preferences. Discover places with convenient on-site restaurants, around-the-clock service, and pools where your kids can make a splash. Some hotels may boast fitness rooms and spa services, while others feature game rooms and Wi-Fi access. To top it all off, you’ll score cheap hotels in Beiseker that let you spend more on your activities and less on your lodging. Book and bundle your flight and hotel deals together today and save up to $537. It’s time to explore a new city, and break out of your routine. We booked this hotel last minute as a lot of other hotels were fully booked. To bed honest I wasn't expecting much as it was stated as 2 stars. We arrived at the hotel and were very surprised and impressed. 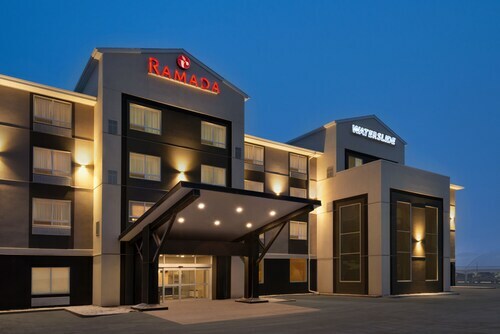 The hotel looked brand new, the staff were very friendly and the rooms clean and confortable. Free wifi was great and the breakfast which was included was good. The location was great, just off the highway and there is a big canadian superstore and Tim Hortons near by. I would recommend this hotel. It is a great room. The location is in an industrial business park. Staff are nice. Room was clean. Walls are thin. Nice work out area and pool. It was a great price. 5.0 Helpful staff, great place to stay! We recently had a 2 night stay here to attend a sports tournament. The staff were very accommodating. They opened the breakfast room a half hour earlier than usual, with the full hot continental breakfast they provide, so the team could be fed before their early morning game. Then they let us use the breakfast room for our team supper later that day. Our room was spacious and very clean, with super comfortable beds. Plenty of hot water in the shower too. The only drawback is that there is no restaurant attached or within walking distance. Overall, highly recommended. staff are friendly and helpful, rooms are clean and housekeeping service is excellent. 4.0 This hotel was good value. The restaurant and bar were a pleasant find at the end of a long, hard day. The breakfast was very good. I would stay there again. We were travelling with a large RV, phoned reception anf were given good directions for a convenient lot.